The Arts Calendar celebrates the diverse range of Art, Drama, Design Technology and Music on offer across the 7-18 age range. The covers feature a montage of images of boys and girls participating in a myriad of activities together over the last two decades in honour of Exeter Schoolâ&#x20AC;&#x2122;s 20th anniversary of coeducation. We hope you enjoy this flavour of Exeter School life. We look forward to seeing you at one of our many events over the next academic year. Theatre Trips The Drama department organises regular trips throughout the year to a variety of theatres and venues. Upcoming trips already in place for this year include a whole department trip to the National Theatre production of War Horse at the Theatre Royal Plymouth, as well as a trip for the Middle Fifth Drama pupils to see Mischief Theatre’s The Comedy About a Bank Robbery. The department also invites leading industry professionals to lead workshops with the pupils; last year we had two fantastic workshops with the world renowned Frantic Assembly. We are also excited at the prospect of having a number of workshops with Theatre de Complicité, one of the best theatre companies in the world, as well as lining up local theatre companies CTA and Four of Swords. Every year Exeter School holds a series of informal concerts designed to give the pupils a chance to perform in a relaxed environment. Exeter School’s annual Chamber Concerts celebrate the high quality of the school’s many chamber groups. November’s concert in the atmospheric Chapel heralds the start of the formal concert season. We will once again visit St. Giles’ Sidbury in March, featuring many of our A Level and GCSE musicians, while the year will conclude in July with the annual Summer Chamber Concert. greenpower The Greenpower Challenge is a club where pupils aged 11-16 design, make and race an electric endurance racing vehicle and combines many disciplines. A standard motor and 24-volt battery ensures racing parity. Innovation regarding aerodynamics, chassis design, mechanical and electrical design mean grids show great diversity over the 1.5hour race. Take one picture Throughout the autumn term, Upper Two children will participate in a project organised by The National Gallery entitled Take One Picture. 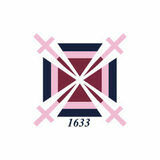 Last time Exeter Junior School participated, a selection of pupils’ work was selected for an exhibition at the gallery. Watch this space! national poetry day The Junior School English department will be holding a poetry competition to celebrate National Poetry Day. The theme is ‘Change’ and children will be invited to submit any type of poem on this topic. Later on in the term, the winning entrants will perform their poems for parents and peers. The Big Draw, promoted by the National Campaign for Drawing, is an opportunity for Exeter School staff and pupils of all ages to take part in a collaborative artistic activity in the autumn term. The Big Draw promotes drawing as a tool for thought, creativity, social and cultural engagement and helps to dispel the notion, ‘I can’t draw!’ Last year, the Art department challenged the school community to beat David Hockney’s 82 portraits and 1 still life. The end result was an imaginative array of portraits, ranging from celebrity idols to carefully rendered fantasy figures which were displayed in the Art Gallery alongside a stop motion animation of entries. A fun-filled, love-soaked modern version of the Cornish legend – this production will make you laugh out loud, hold the hand of the person next to you and then cry on their shoulder. Cornwall is at war, but King Mark hadn’t banked on falling in love with his enemy’s sister, or the charismatic and enchanting Tristan arriving on his shores. An original tale of forbidden desires, broken hearts and the agony of choosing one human being over another. The ‘unloved’ will lead you through a night of passion and love, making you laugh, cry and have a good time singing and dancing along the way. advent carol service A magical occasion with carol singing, traditional readings and prayers in flickering candle light. This informal occasion enables the school community to usher in the Christmas season together. S U M M E R junior school carol service The Carol Service is an uplifting and joyful occasion in which every Junior School pupil takes an active role. Families enjoy readings, congregational carols and a variety of musical performances. The Junior Orchestra, Junior Wind and Brass groups play a selection of Christmas numbers, and each year group offers a song reflecting on an element of the Christmas story. The Junior Choir and Junior Singers also contribute to this seasonal favourite in the calendar. christmas concert Music for the ears! The packed programme features over 15 different ensembles including Symphony Orchestra and Concert Orchestra. The diversity of styles extends to the choirs, vocal ensembles and other chamber groups. The wide range of musical genres also includes swing and funk, rock, brass and African drumming. The annual concert in aid of the Friends of the National Trust showcases the breadth of musical talent spanning the Senior School. Almost 200 pupils take part in various ensembles, choirs and orchestras, performing a mixture of traditional and modern pieces with a festive theme; recent works performed have included movements from Corelliâ&#x20AC;&#x2122;s Christmas Concerto, an arrangement of Saint-Saensâ&#x20AC;&#x2122; Oratorio de Noel and Have Yourself a Merry Little Christmas. The groups that perform are the Chamber Choir, Senior Choir, Middle School Choir, Junior Choir, Belles Canto, Vocal Ensemble, Barbershop Boys, Symphony Orchestra, Chamber Orchestra and the Senior Brass. The evening always includes a selection of readings and congregational carols. LORD gcse performances GCSE, AS and A2 pupils present their reinterpretations of existing plays, devised performance pieces and extracts from existing texts. These are rehearsed and performed as part of their WJEC/Eduqas courses. These are public examinations but performed in front of an audience made up of friends, family, pupils and staff (and for certain performances – an external examiner!). The performances offer an opportunity for academic Drama pupils to demonstrate a wide range of performance skills in a variety of styles and genres. st ives art show Upper Fifth pupils studying GCSE Art and Design visit St Ives for three days to gather first-hand contextual research for their coursework projects in the autumn term. The trip includes visits to the Tate St Ives and Tremenheere Sculpture Gardens, as well as other commercial galleries in Penzance. During the course of the weekend, the pupils will work on a series of practical workshops with a professional artist, inspired by the historic colony in St Ives. An exhibition of the work created in response to the trip is on display in the Art Gallery in January. Form One and Upper One Drama Club is going to be performing Peter and the Wolf, using the Prokofiev music. We will be creating our own narration, however, and the story will have a few little twists and turns with some additional songs. The children are hugely enthusiastic about performing and do so with great gusto. The show is very enjoyable for the audience of family and friends. The Lower Two and Upper Two Drama Club runs after school on Wednesday. Last year, 38 children took part and this year looks set to be even bigger. We work on one of Shakespeareâ&#x20AC;&#x2122;s plays every year and in 2019 we will be tackling one of his greatest tragedies, Macbeth. Whereas last year, our production of Romeo and Juliet was set in modern day, using gang wars as a backdrop, this yearâ&#x20AC;&#x2122;s Macbeth will be very traditional. We always try to include live music to help portray the story and this year will be no exception. Teams of up to six pupils compete to design, build and race an F1 style vehicle powered by compressed gas over a 20 metre course. Pupils learn CAD/CAM including CNC milling and 3D printing to create their designs after studying aerodynamic theory. The teams design a brand and raise sponsorship as part of business side of the challenge. Once they have presented their design journey to judges, they race and hope to get through the regional event to the nationals, before dreaming of the world finals. More than 200 pupils, parents, staff and guests take part in the annual Exeter School Choral Society concert in Exeter Cathedral. Supported by a professional orchestra, including many of the school’s visiting music teachers, Choral Society is conducted by Mr Tamblyn, Mr Brimelow and Mrs Guthrie. This year’s pieces are Poulenc Gloria and Part 2 of Handel’s Messiah, with several solos sung by pupils. animation19 The 12th annual UK Schools Computer Animation Competition is run by the University of Manchester’s School of Computer Science between September and March. Pupils in Lower Two and Upper Two will work on their oneminute animated films during their DT lessons. junior school spring concert The entire Junior School sings songs from a musical or cantata. Instrumental groups also feature, displaying the wide variety of musical opportunities for this younger age group, from African drumming to orchestra. Previous performances have been inspired by musicals such as Joseph and Oliver, the environment, pirates, and the Jazz Age. DT Trip to land rover and morgan factories Middle Fifth DT pupils will visit the Land Rover and Morgan Factories to support their studies. The traditional skills of Morgan and the automated mass production of Land Rover makes for an exciting contrast. Both companies only make vehicles to order, but many of the comparisons end there. Land Rover produce a vehicle every 80 seconds, demonstrating lean manufacturing by carrying only four hoursâ&#x20AC;&#x2122; stock of parts on the production line, while Morgan hand builds a maximum of 14 cars per week. The day truly brings manufacturing to life. 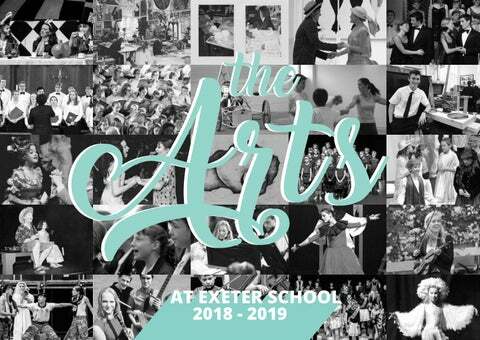 For the 18th year running, Exeter Schoolâ&#x20AC;&#x2122;s musicians and singers will perform a special charity concert to raise funds for the international charity WaterAid. All proceeds from this concert will go directly to WaterAid projects in Zambia, helping some of the countryâ&#x20AC;&#x2122;s poorest communities gain access to clean water and safe sanitation. The concert features the Symphony Orchestra, Chamber Orchestra, Chamber Choir, Vocal Ensemble, Belles Canto, Barbershop Boys, Senior Brass and Jazz Band while the younger members perform in the Concert Orchestra. This annual concert is an opportunity for younger Senior School musicians to perform a variety of musical styles from jazz to classical, in duets and as soloists, in orchestras, choirs and bands. A faithful adaptation of Roald Dahl’s book, the play follows ‘Boy’ and his Grandmother as they attempt to defeat the Grand High Witch and her many followers at an English seaside hotel. However, these witches are not your stereotype with a pointed hat and warts on the end of their nose, they are mistresses of disguise and look just like everyone else… on the outside. This production promises to take you on a fiendish journey of fantasy, delivering a chilling but thrilling night of family entertainment. S U M M E R This event is an opportunity for Junior School pupils to share their musical achievements and inspire and encourage one another. It will include all Form One pupils playing violins and a number of Upper One pupils playing recorder pieces learned in class. There will also be performances by Junior Singers, Junior Orchestra, Wind and Brass groups, along with solo performances by pupils learning orchestral instruments. jazz concert The School Hall is transformed into a moody jazz club where the audience sit around tables and enjoy food and wine and the relaxed atmosphere of the end of the school year. The entertainment is a mixture of big band, swing, blues, funk, rock and world genres performed by several of the schoolâ&#x20AC;&#x2122;s jazz ensembles. A fitting way to welcome in the summer. wesc exhibition Exeter School is delighted to host the seventh annual exhibition of artwork produced by WESC Foundation pupils. The sensory artwork produced by visually impaired pupils highlights how Art can provide a valuable means of expression - a vehicle to communicate different ideas and feelings using a range of tactile mixed media. At the end of the year, there will be an opportunity to visit the Junior School Art and DT Show, demonstrating the wealth of work created over the year by Junior School pupils. As part of their Textiles project, and as another opportunity for transition into the Senior School, Upper Two pupils attend a printing workshop run by Senior School staff in the summer term. The Summer Chamber Concert is a chance to usher in the summer holidays and say farewell and thank you to the musical pupils leaving us this year. S U M M E R upper one keyring project Upper One will visit the Senior School DT department to see their CAD keyring designs produced in class, cut on the Senior Schoolâ&#x20AC;&#x2122;s laser cutter. upper two end of year production At the end of every school year, Upper Two children produce a wonderful and exhilarating musical. They work as a team and have set pieces for the whole year group, numbering 67 last year! They often play in the band, which accompanies the show, as well as sing and dance. Director Mrs Goldsworthy makes the most of pupilsâ&#x20AC;&#x2122; special talents be it singing, tap dance or ballet, or a wish to understand the complex lighting rig in the Drama Studio. summer art & DT exhibition The Summer Art and Design Technology Show celebrates the artistic and engineering achievements of pupils from the Third Form through to the Upper Sixth. Across the two departments, there will be a range of exciting interdisciplinary displays of pupil work. It is an excellent opportunity to see the creative journeys undertaken by pupils in their sketchbooks and portfolios, as well as a wide range of well-executed final outcomes. The House Dance and House Song competitions alternate every two years and are a chance for every member of the Senior School to work on a performance with other members of their House, across the 11-18 age range, and compete in a school competition for the entertainment of their peers and teachers - an occasion not to be missed! A group of Senior School musicians and staff are heading to Liguria on the Italian Riviera in North West Italy. They will perform in four concerts involving a mix of short classical pieces and light music. They will also enjoy visiting the beaches, Ligurian Alps, the spa town of Acqui Terme, Monaco and the Oceanographic Museum, Caravelle water park, Bordighera, San Remo, including a boat trip, and the Toirano Caves. Only use blue and/or white. For more details check out our Brand Guidelines.